A good cast let down by a drawn out plot which would have been sharper at 70 minutes rather than 90 plus. Dan Duryea (Silky’) heads a gang of con men including John Payne (‘Rick’),Richard Rober (‘Max’) and Dan O’Herlihy (‘Duke’). Having just completed a scheme in Miami, Silky has the next job already planned. 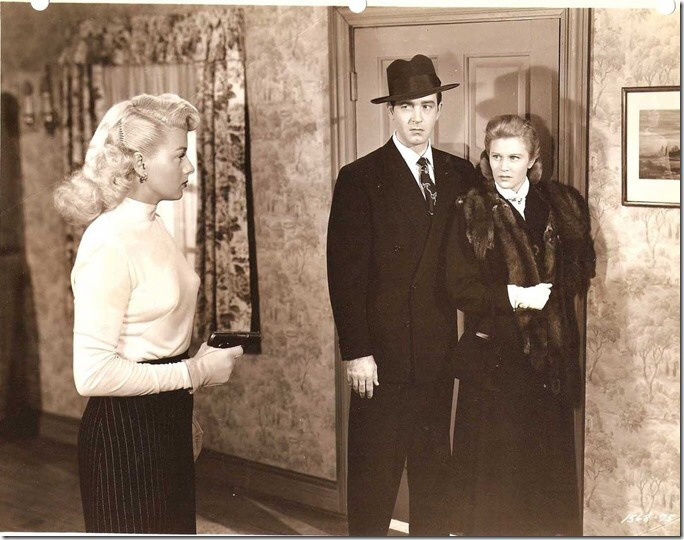 This time it is in Mission City and involves conning a rich war widow,Joan Caulfield (‘Deborah’) into believing Rick knew her husband and convincing her that the town should buy a plot of land and build a youth centre as a memorial to her late spouse. It all goes far too smoothly – Rick seems to a magnet for any woman around him! 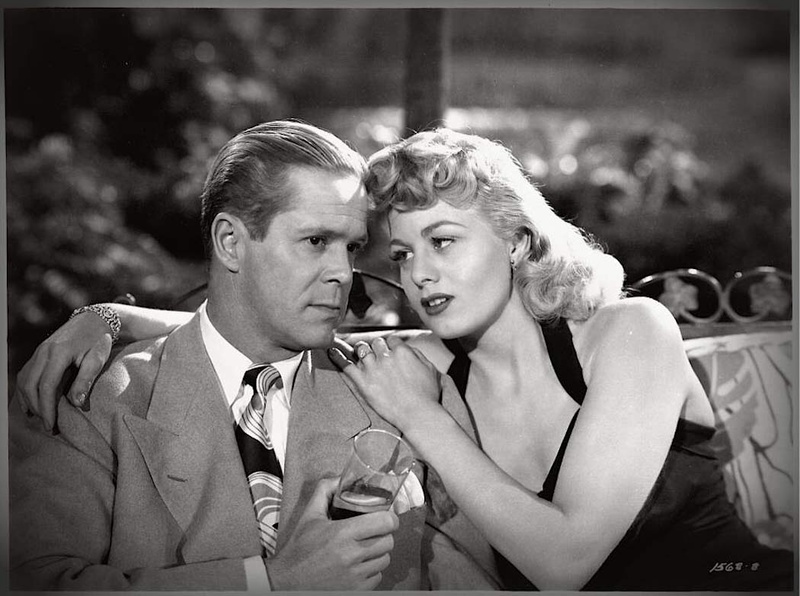 Even ‘Tory’ (Shelley Winters), who is Silky’s girl, is crazy about him and doesn’t seem to care if Silky knows. She throws a spanner in the works by turning up in town,having followed Rick from Miami. Finally Silky apologies to Rick who maintains he has no interest in Tory ( though it’s clear they were having an affair behind Silky’s back). There’s a too sudden wind up to the story. The cast are good. 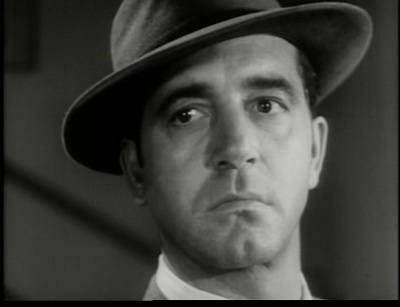 I like Richard Rober more and more,one of the best gangsters. Shelley Winters probably had the best part as the stop- at- nothing moll. Poor Joan Caulfied has little to do except look at Mr Payne and sigh! Even Dorothy Hart, in a small role as a secretary ( who also fancies Payne) is more lively than Joan. Nice to see Percy Helton as the manager of the hotel Rick stays at. This was one of John Payne’s first breakaway roles from musicals, and before he started making westerns in the 50s. Worth watching for the cast and a story that is good,just stretched too far. this great (IMHO) Noir for years. Dare I ask where yours came from? Borrowed from a friend. Sorry, don’t know origins. Presumably on TV at some time. Will try and find out.